Just one day after the New York Premiere, new footage has surfaced from the highly-anticipated Batman v Superman: Dawn of Justice, hitting theaters in just four short days on March 25. Amazon has a new TV spot which features some never-before-seen footage, including the Batwing crashing, Martha Lane (Diane Lane) offering some advice to her adopted son Clark Kent/Superman (Henry Cavill), plus more footage of Superman's intense battle with Batman (Ben Affleck). While many think that Superman has a natural edge over Batman, due to all of his powers, the end of this first TV spot proves that The Dark Knight may have a chance. In all of the previously released footage we've seen of Batman and Superman's fight, Superman is shown to have a clear edge, in some scenes literally tossing Batman around. 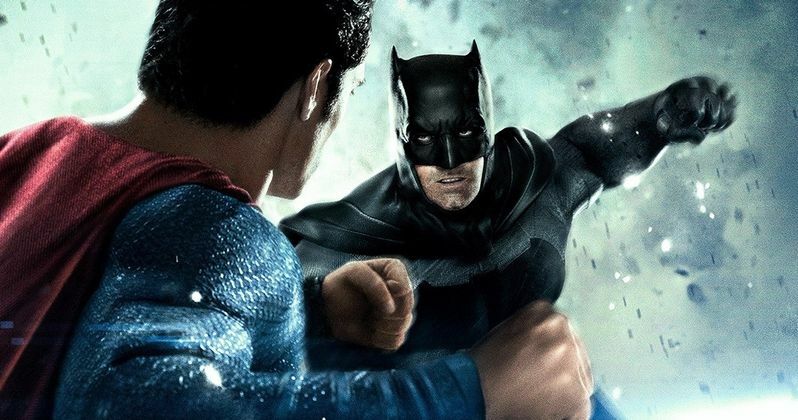 The final moments of this new video are quite telling, showing Batman actually blocking one of Superman's punches, telling Superman "You're not brave. Men are brave." Of course, this doesn't mean that Batman will necessarily win in his battle over Superman, but it teases that this epic battle most certainly won't be a one-sided affair. Batman v Superman: Dawn of Justice launches Warner Bros. new DC Comics slate of movies over the next several years. Next up will be Suicide Squad (August 5, 2016), followed by Wonder Woman (June 23, 2017), Justice League Part 1 (November 17, 2017), The Flash (March 23, 2018), Aquaman (July 27, 2018), Shazam! (April 5, 2019), Justice League Part 2 (June 14, 2019), Cyborg (April 3, 2020) and Green Lantern Corps. (June 19, 2020). Check out the latest footage from Batman v Superman: Dawn of Justice, as we get ready for the March 25 release.